Considering the spread of digitization into seemingly every nook and cranny of our lives, how are book-reading practices changing? The Pew Research Center looked into this question recently, and it found that those behaviors are definitely changing. First, what hasn’t happened is a wholesale flight from printed books. According to Pew’s January 2018 survey of ~2,000 American adults age 18 and older, fewer than one in ten respondents reported that they’ve pulled the plug completely on reading printed books. But it turns out that ~30% are reading both digital and printed books. As for the rest, nearly a quarter of the respondents reported that they don’t read books at all – in any format. That leaves around 40% who report that they read books in printed form only. It seems that we’re in the midst of a technologically driven change in behavior. A few short years ago the percentage of Americans reading any books in digital format would have likely been in the single digits. 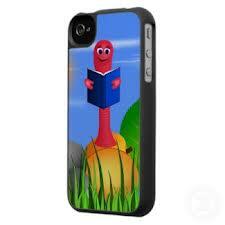 But now just about half the population of book readers are doing so at least in part using digital technology. I suspect that we’ll see continue to see a shift towards digital books – and likely at an accelerating pace. Even though speaking personally, I tend to read “better” when I’m not in front of a screen because I find it easier to absorb the more extensive paragraphs that are more typical to long-form writing. But that’s just me. What about you? Are you still reading printed books exclusively, or have you gravitated to digital? And do you see yourself going 100% digital eventually? Please leave a comment for the benefit of other readers. Amazon turns the page on yet another publishing maxim. The publishing industry’s “primary disruptor” will start paying authors based on pages read, not e-books purchased. Beginning next month, Amazon is ushering in its next big change in the world of publishing … and it’s a pretty fundamental shift. Instead of paying royalties to authors based on how many e-books have been sold, Amazon will start paying authors based on how many pages of their books consumers have read. For now, the program applies just to self-published authors who are on Amazon’s KDP Select Program — but you can bet that if the experiment plays out well, it’ll likely expand. The new change will shift away from paying authors based on each book accessed, and instead pay based on each page that readers access (and that remains on the screen long enough to be parsed). Who will be the winners and losers in this new approach to compensation? Certainly, some people have criticized the current payment scheme for benefiting authors of smaller books more than those who write longer tomes. The change may improve matters for the latter because of the additional pages that make up their e-books. But is that really the case? Many large volumes are reference-oriented book or fall into other non-fiction categories, such that a reader may be interested in accessing only a few pages within the books in any case. But on the fiction side, authors may find themselves attracted to writing the kind of “cliffhanger” story lines that keep readers turning the pages. However it shakes out, one thing seems destined to change. The old saw that “it doesn’t matter how many people read a book — only how many purchase it” may well be on the way out. What are your thoughts about Amazon’s new remuneration policy? On balance, is it good for authors — or for the world of books in general? Feel free to share your comments with other readers. Pew finds more readership of e-books, mirroring the healthy increase in tablet computer, smartphone and e-reader sales. According to the Pew Research Center’s latest survey of American adults (ages 16 and older), ownership of a tablet computer or an e-reader such as a Kindle or Nook has grown substantially in the past year. According to Pew’s year-over-year findings, ownership grew from ~18% in late 2011 to ~33% by late 2012. Based on these findings from Pew, it shouldn’t come as much surprise that e-book readership is also on the rise. Other results in the Pew survey confirm this: The percent of U.S. adults who read an e-book within the past year is now ~23%, up from ~16% a year earlier. Conversely, the proportion of printed book readers is declining; Pew finds that ~67% of adults read at least one printed book during the year, which is a drop from ~75% in late 2012 and ~78% in late 2011.
Who are most likely to be reading e-books? According to Pew, they’re the “usual suspects”: better-educated (college or greater); higher-income ($75,000+ annual household income); and folks who are in the 30-49 age range. No significant differences were discerned in gender or racial segments, although the incidence of e-book readership skews somewhat higher among urban/suburban dwellers compared to those living in rural areas. And there’s one other type of book platform with some degree of popularity among U.S. adults: ~13% of respondents reported that they had listened to at least one audio book over the course of the year. Now to a fundamental question: Are we a nation of readers? The answer to that question depends on your point of view, of course. Some people devour books all the time, while others will do anything they can to avoid reading a single one. The Pew survey found that book readers tackled an average of 15 books across all “platforms” during the course of the year. But the median number of books read was just six, leading one to conclude that some people are really, really voracious readers, and they drive the average much higher than the median figure. 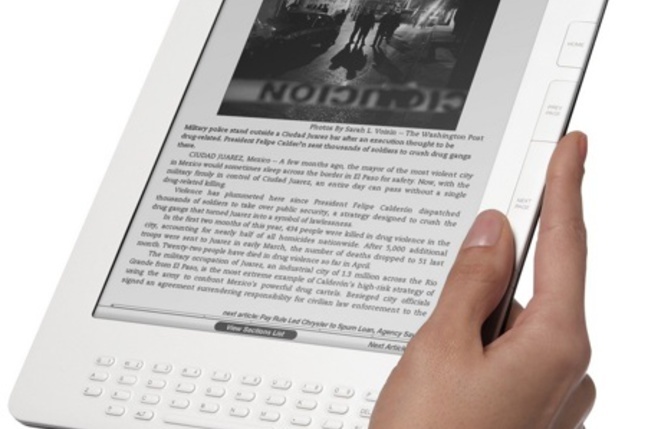 The Nook e-Reader, released by Barnes & Noble just in time for the holiday shopping season. The e-book revolution continues apace. In the past week, Barnes & Noble announced the introduction of its own electronic book reader – the Nook – to compete against Amazon’s Kindle and Sony’s e-reader. Amazon promptly responded by lowering the price of the Kindle to match Barnes & Nobles’ Nook e-reader price. No doubt, both companies are looking to the holiday season, hoping their products will turn out to be among the few that are “stars” in what will otherwise be a season of tepid merchandise sales. And now Google has gotten into the fray as well. It has announced new details on the pending launch of its e-bookstore, Google Editions. This is an online bookstore that will deliver digital books to any digital device such as e-readers, laptops and cellphones. Google plans to offer up to 600,000 book titles during the first half of 2010 alone, nearly matching the number of volumes that Barnes & Nobles will be offering with the Nook. True to form, Google seems bent on taking an idea that is gained acceptance in the market – and then scrambling the deck to create a new set of game rules. In this case, it’s attempting an end-run around Amazon’s and Barnes & Nobles’ proprietary e-reader devices by offering the ability to download books to any digital device. In Google’s program, publishers will set the price of books, while Google will earn over half of the profits and share them with its retail partners. But there is an aspect of Google Editions that might turn out to be a significant “negative” for at least some users. Google is toying with the idea of including AdWords or AdSense advertising in its book offerings. Cramming a bunch of advertising surrounding the book contents could be a big turnoff. Even having blue-highlighted links in the text — while normal and expected when reading an online article such as this NonesNotes blog post – could be a major distraction when plowing through the contents of an entire book volume.